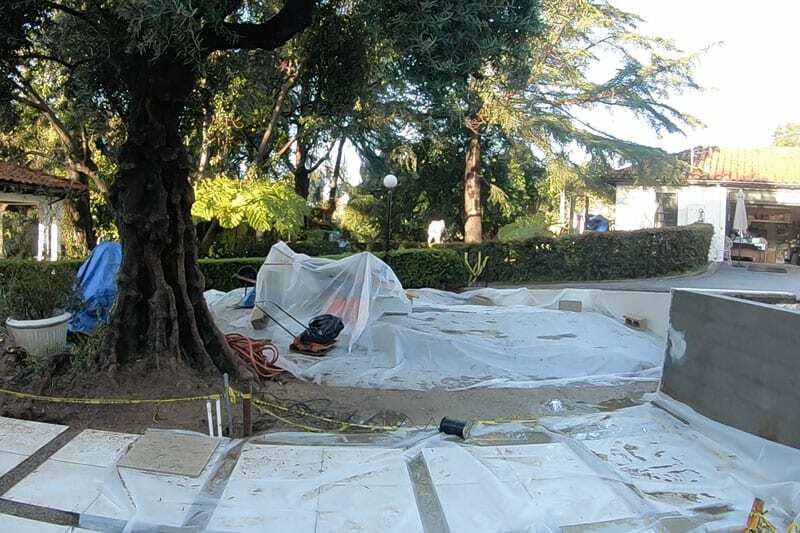 Within our design space for the Pasadena Showcase House of Design for 2018, stood a 100 year old tree that was one of the most unique elements to our canvas. 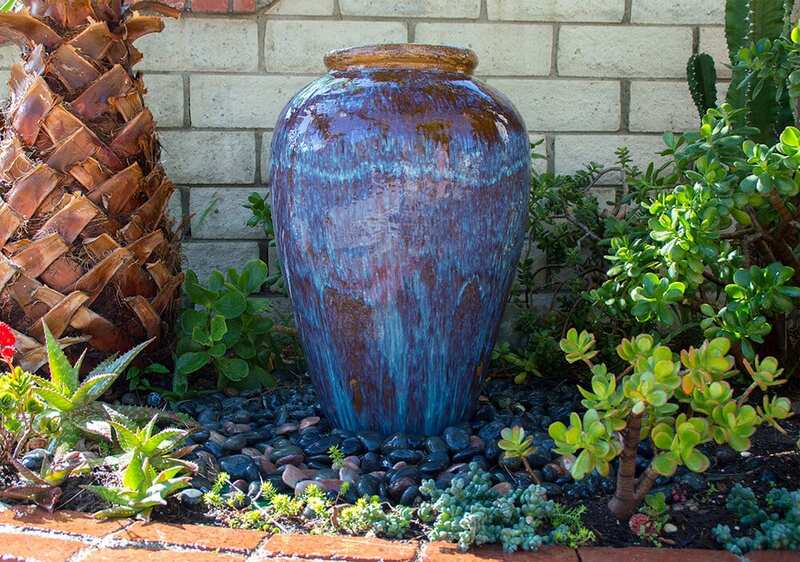 This mystical tree inspired our theme ” The Enchanted Garden” where we installed our 25 foot stream (pondless waterfall), succulent garden and matching succulent urns to add a touch of magic to this patio area. 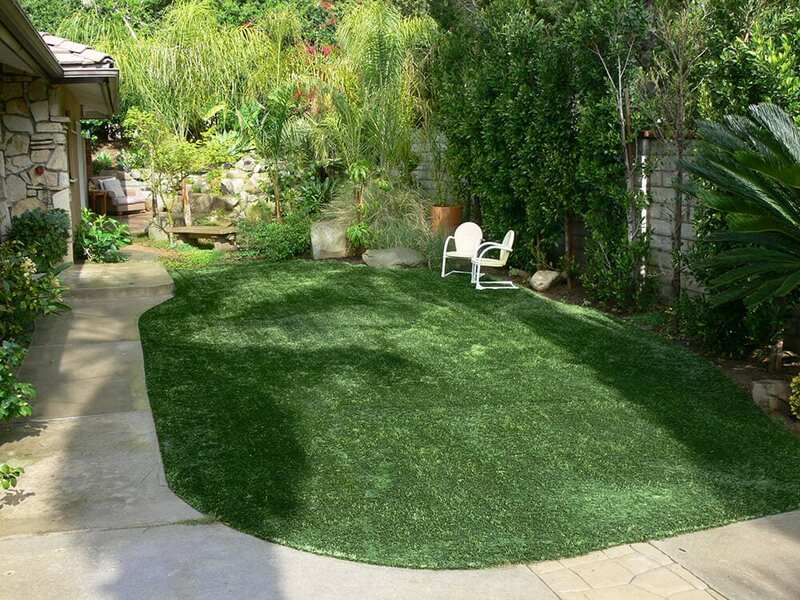 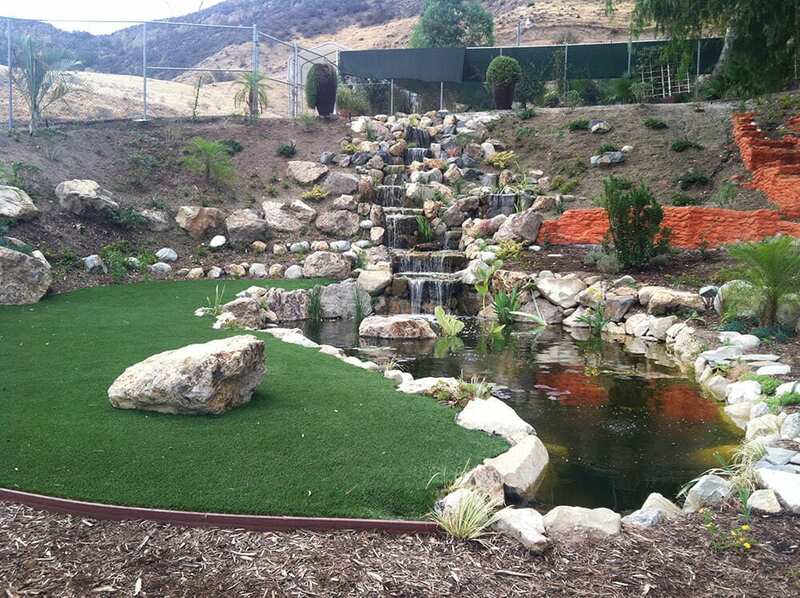 Teaming up with Pacific Outdoor Living for installation of the synthetic turf and paved patio, we were about to create this stunning outdoor space. 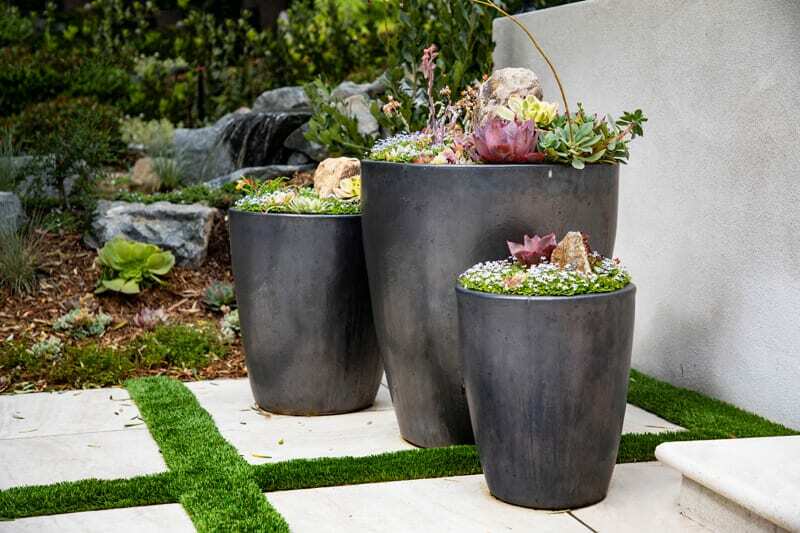 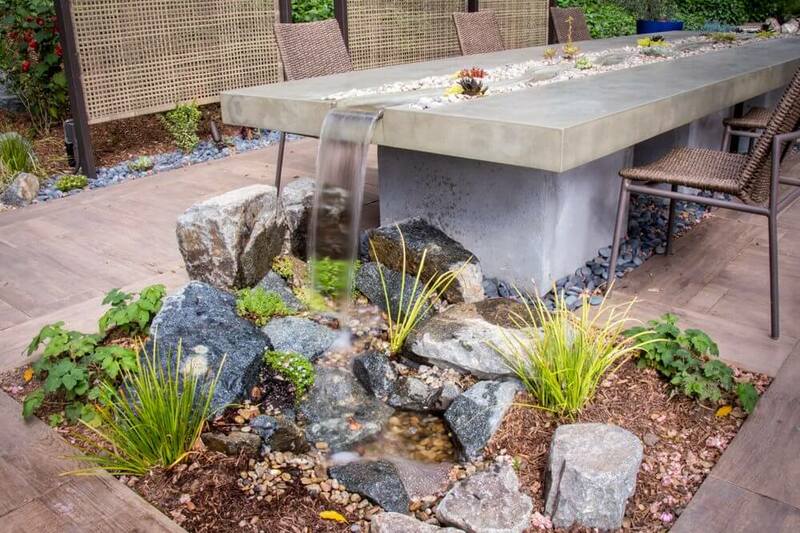 By California Waterscapes and Pacific Outdoor Living. 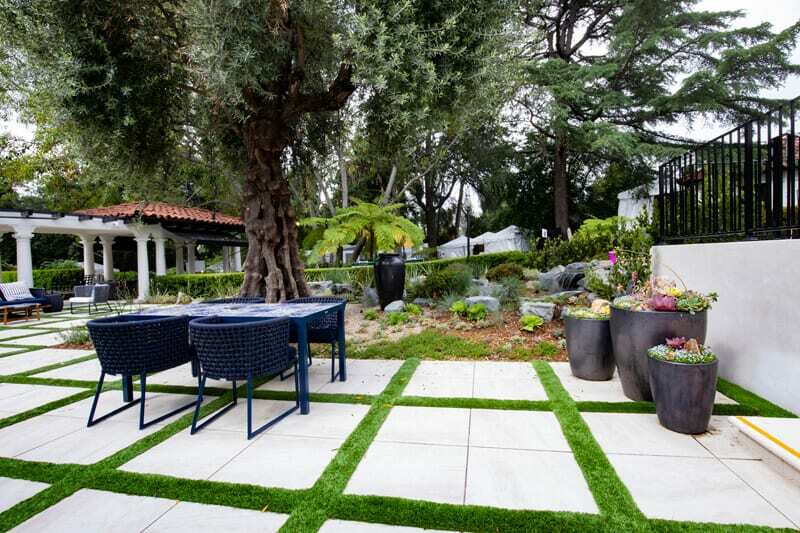 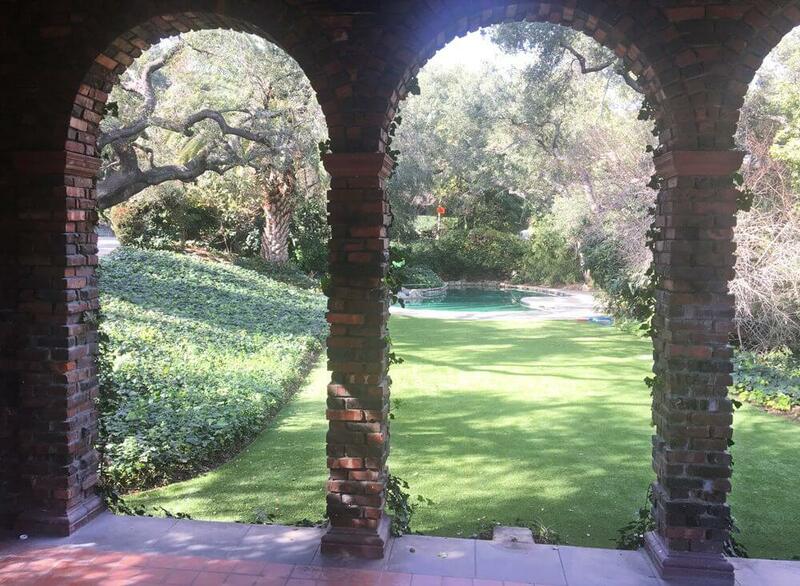 Our designers teamed up to create an outdoor living space for the annual Pasadena Showcase House of Design home. 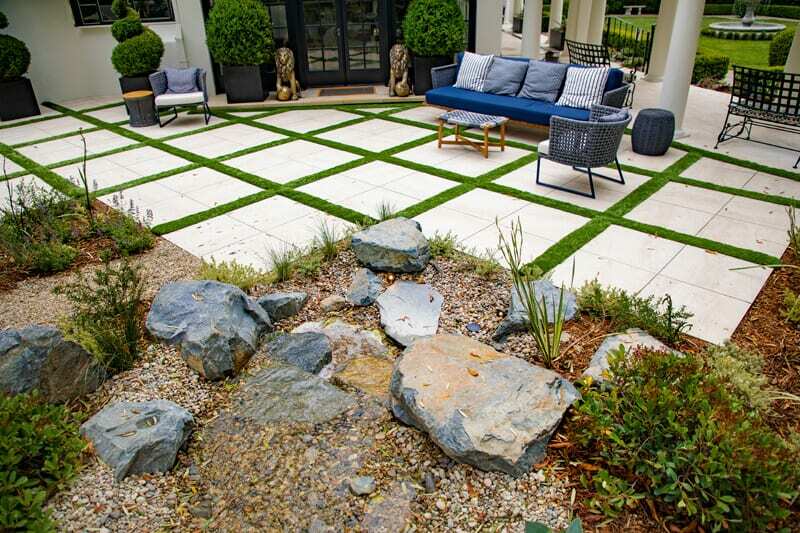 Our focus was to create an outdoor living space that best utilized the area transitioning to the pool, while maintaining a water-wise/drought tolerant landscape. 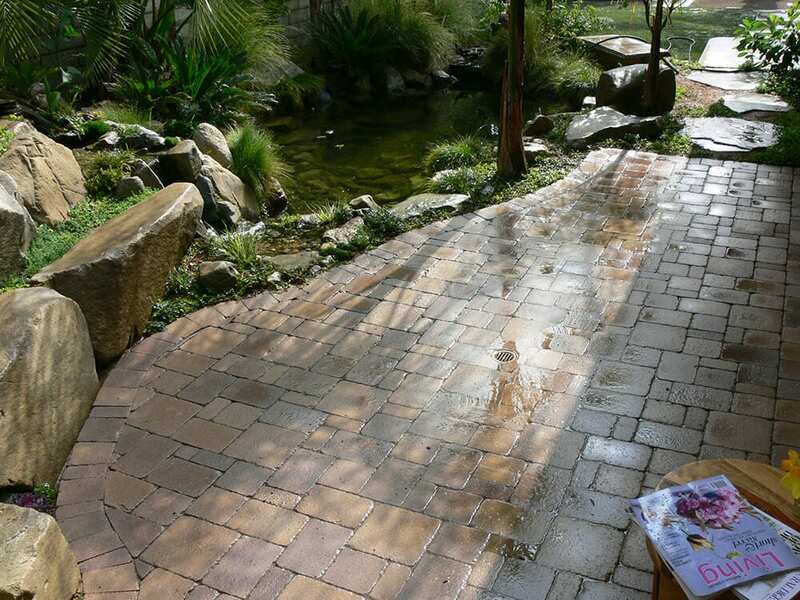 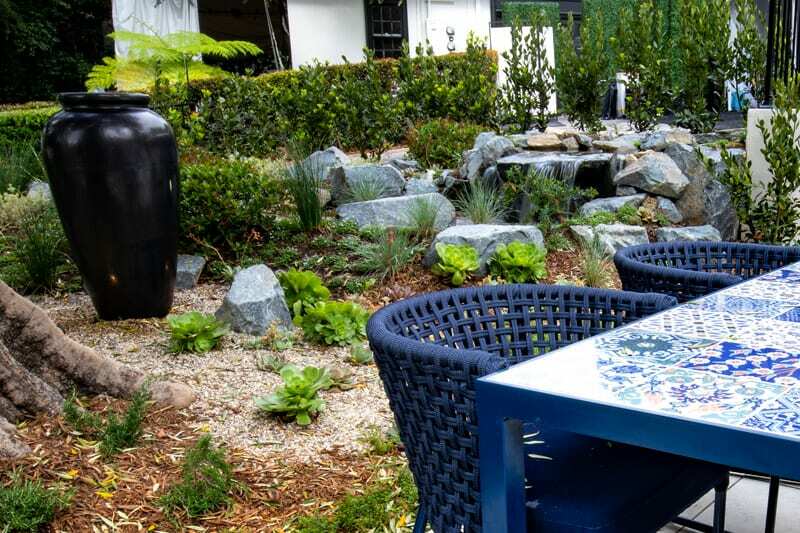 We incorporated our hand cast succulent water table, a pondless stream, synthetic turf, a fully paved patio with our famous Belgard paving stones, high-end outdoor furniture, a custom pergola and even a dry creek bed to tie everything together. 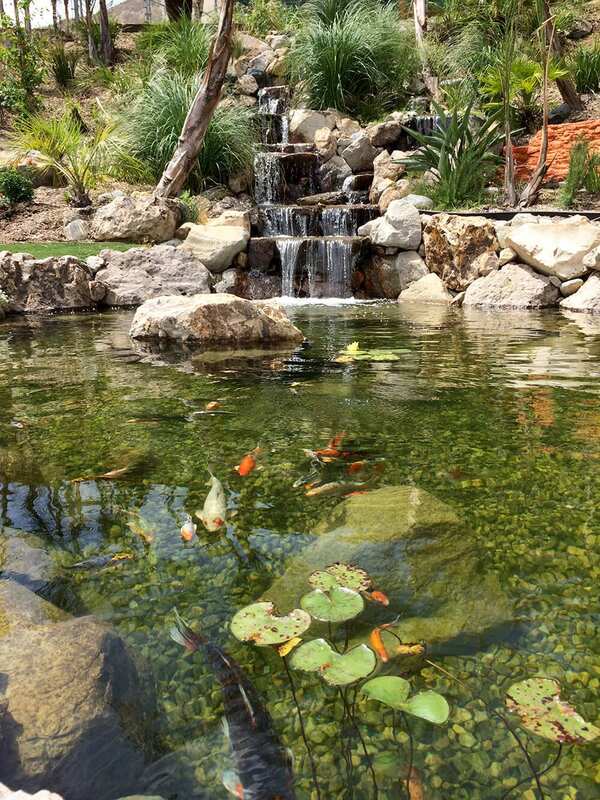 Drought Tolerant Koi Pond and Landscaped Backyard! 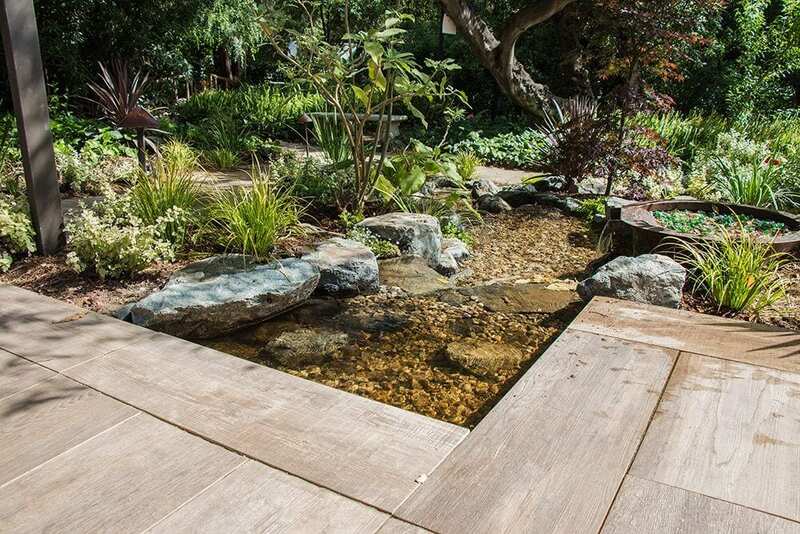 Can you believe that this pond uses less water than the lawn that stood before it?! 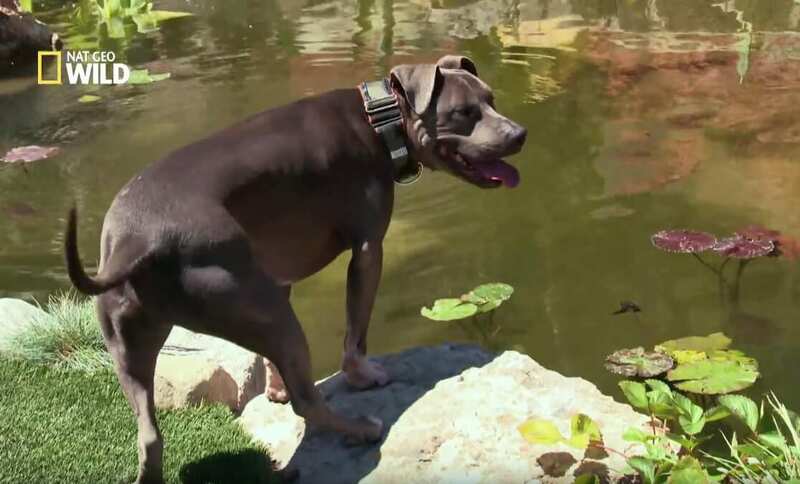 Well believe it! 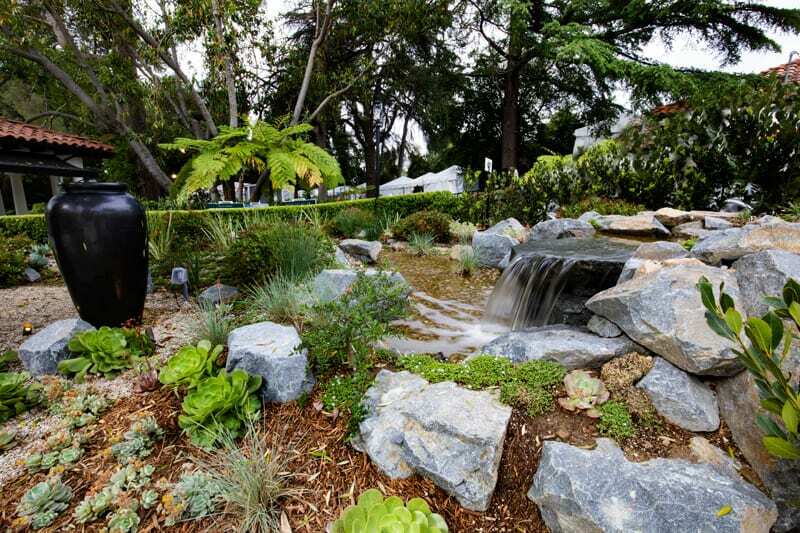 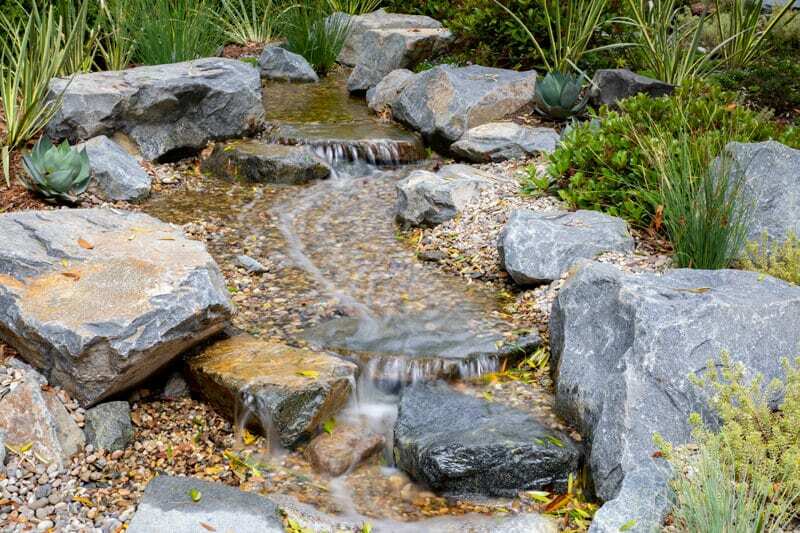 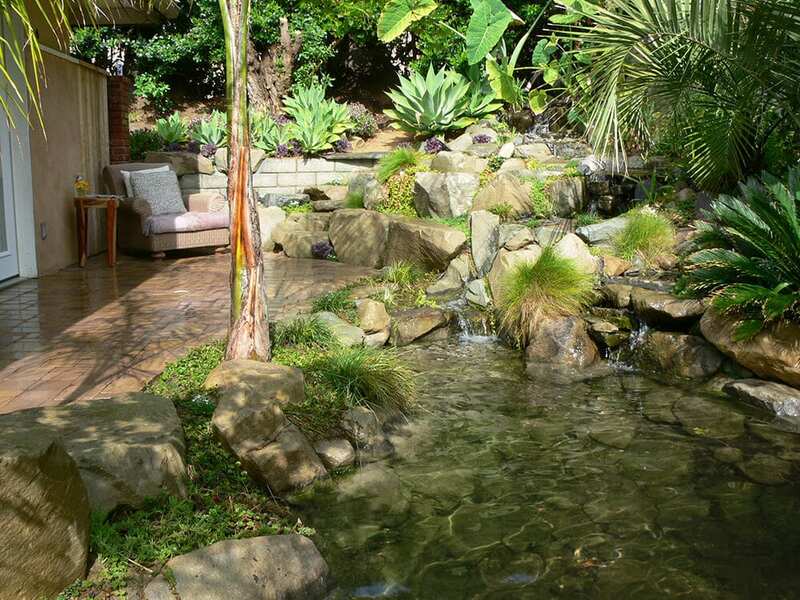 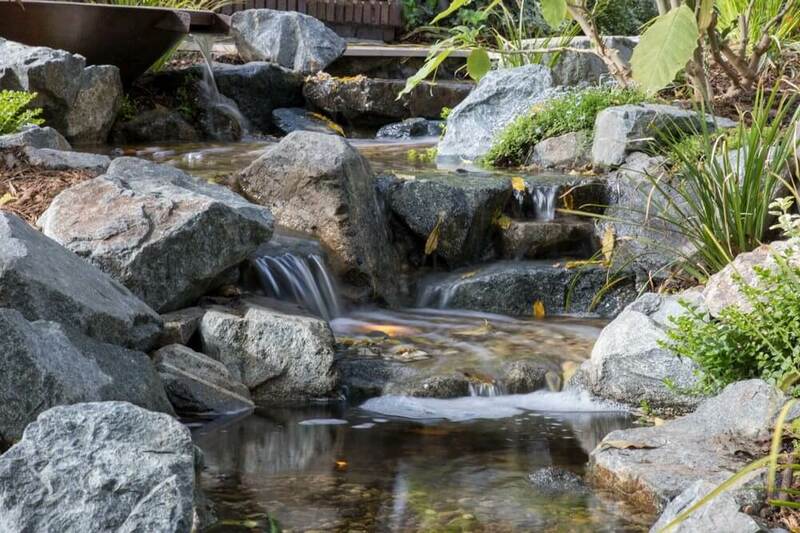 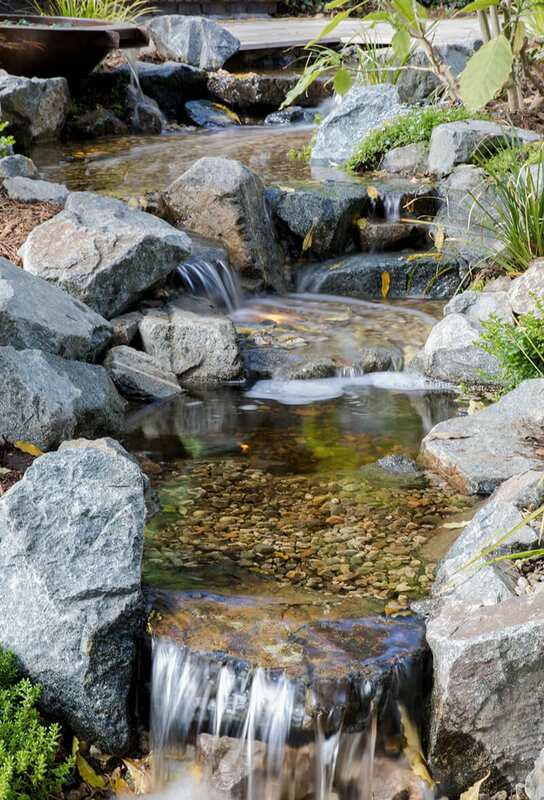 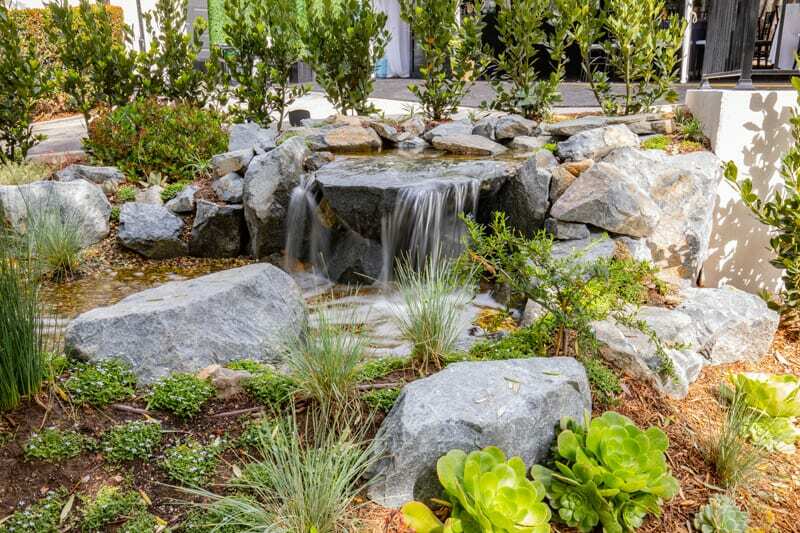 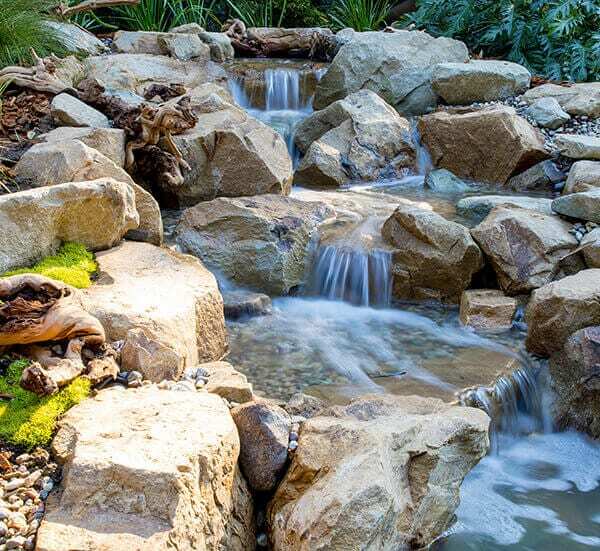 This gorgeous pond, waterfall and landscape actually uses less water than that old lawn! 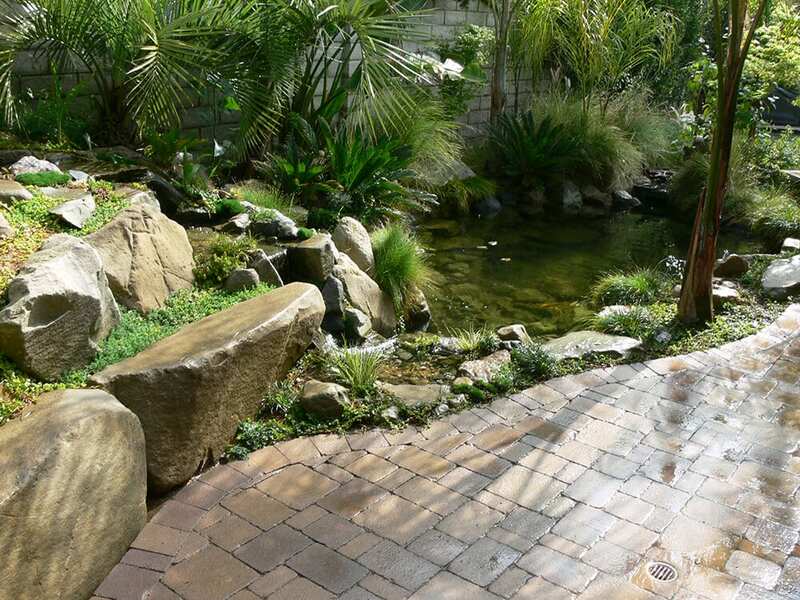 Here’s a project where the client traded in their old ugly lawn for a beautiful pond, waterfall and low maintenance stunning succulents and drought tolerant landscape with synthetic turf. 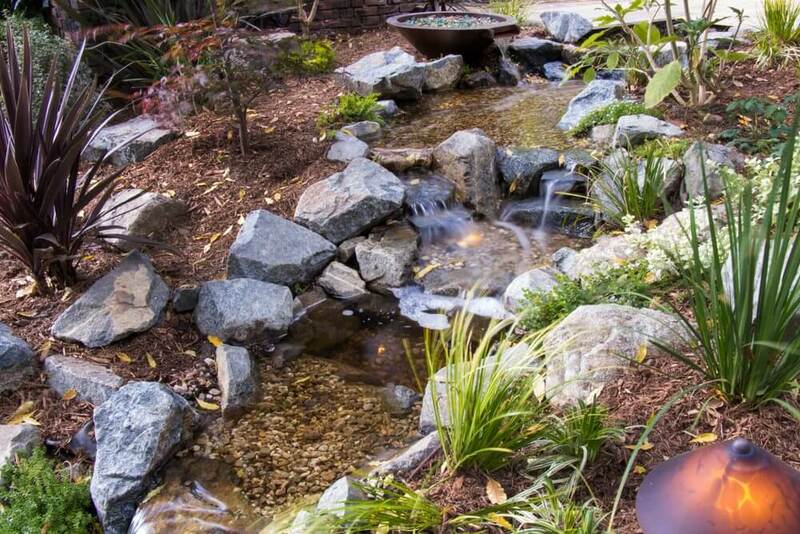 Not only does the client use a fraction of the water since the renovation, it is now super low maintenance! 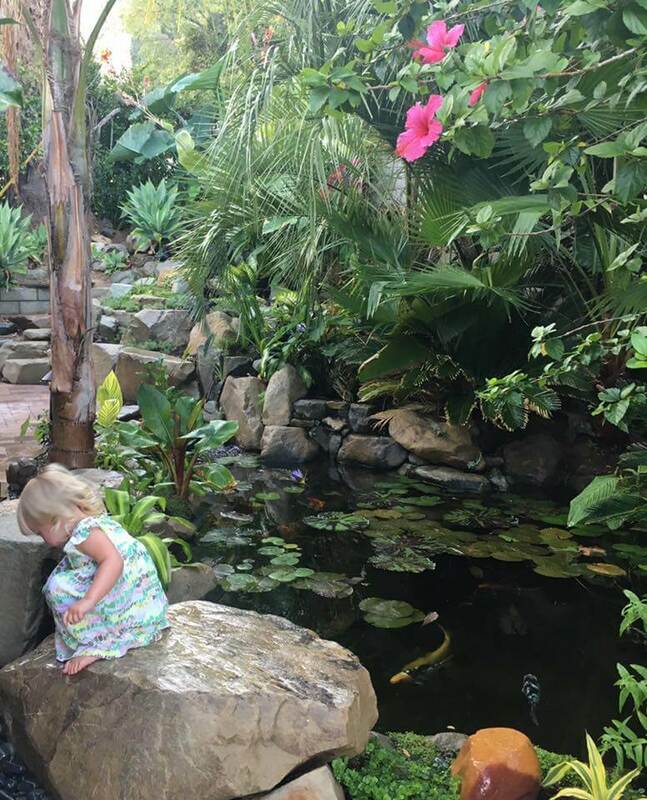 This is the family’s favorite spot to relax and enjoy any part of the day! 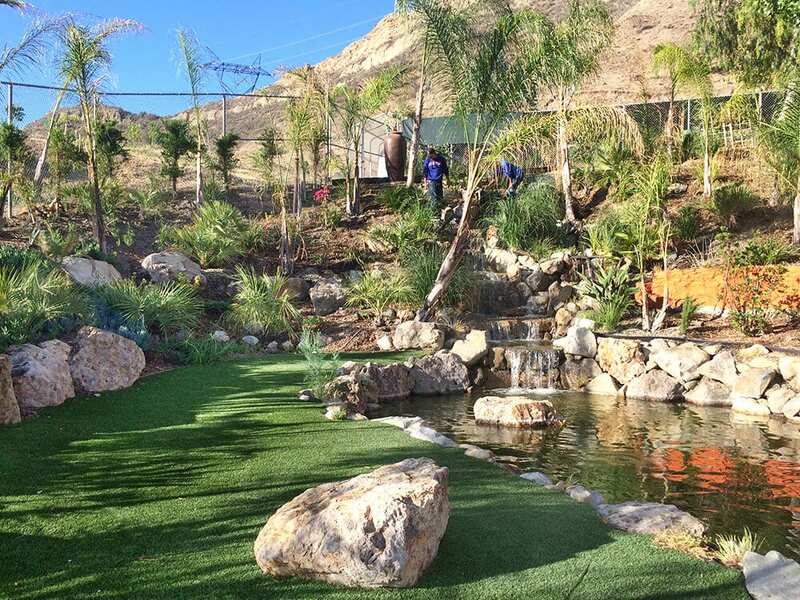 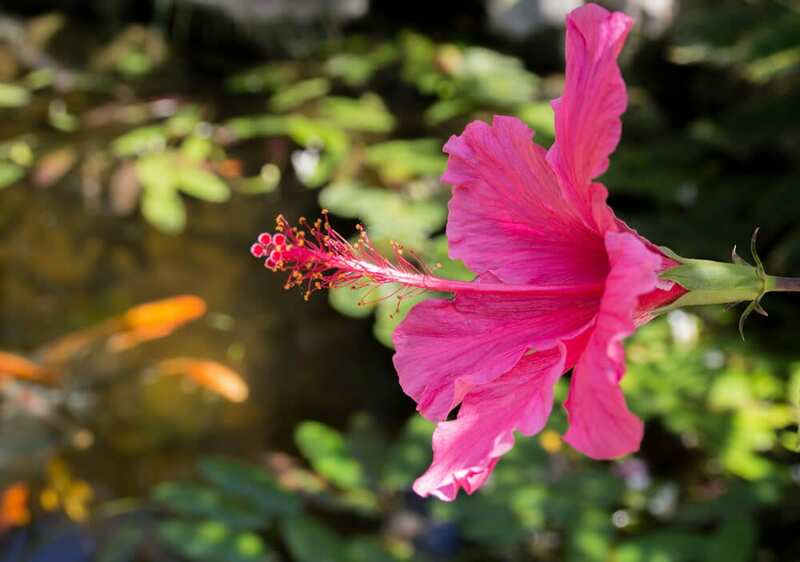 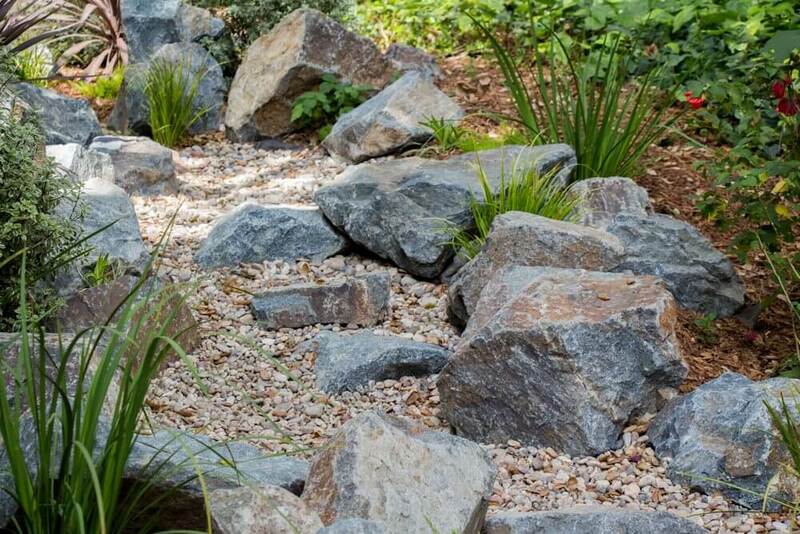 If you are considering remodeling your yard either to save money on your water bill or just help conserve water in this tough drought, consider changing your yard into a livable and guilt free paradise with a sustainable water feature! 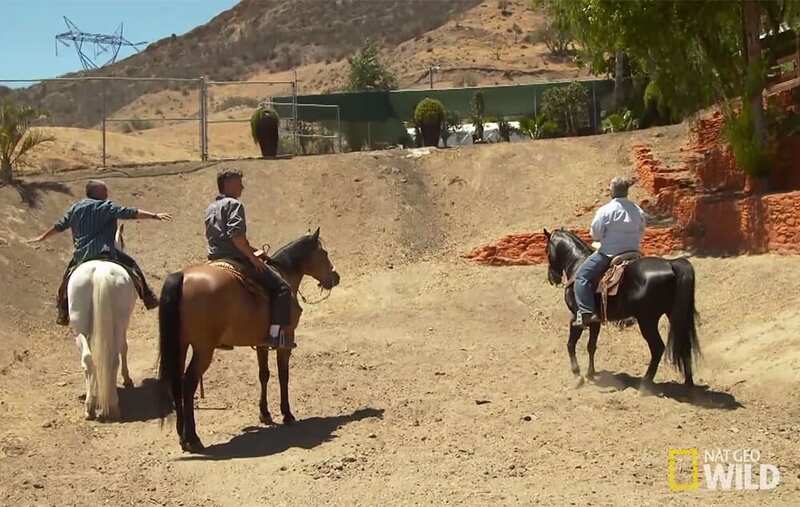 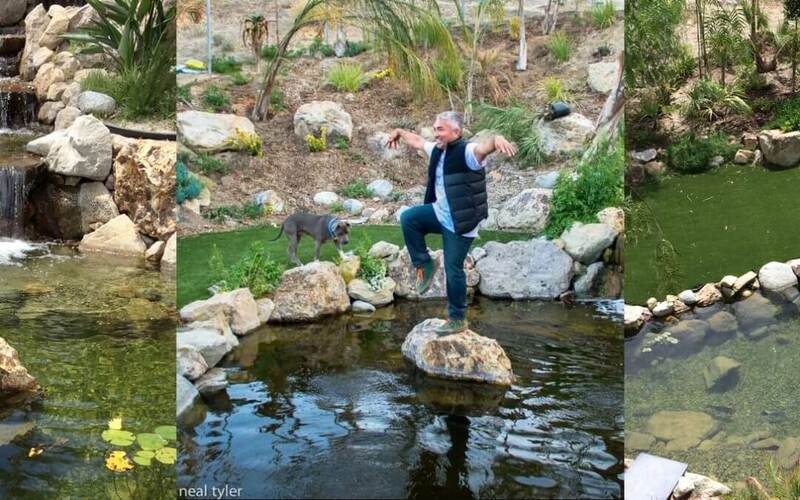 Cesar Millan’s Dog Psychology Center – Yin Yang Pond! 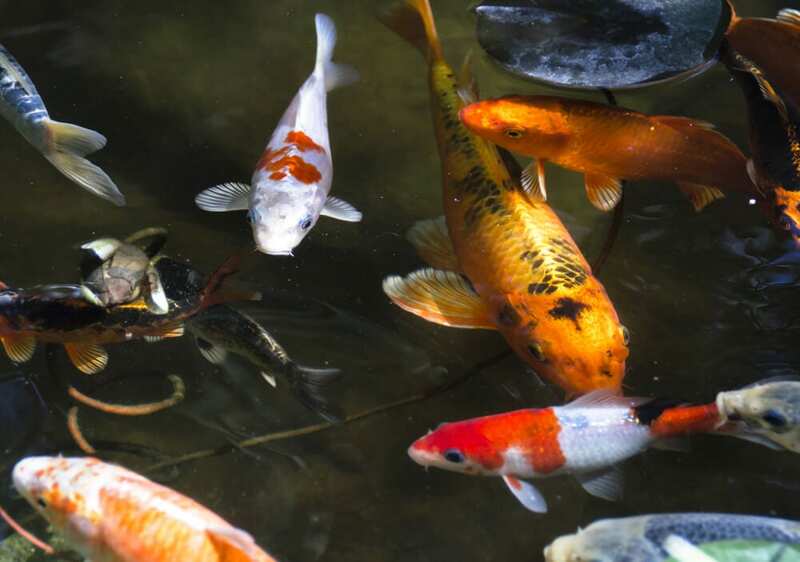 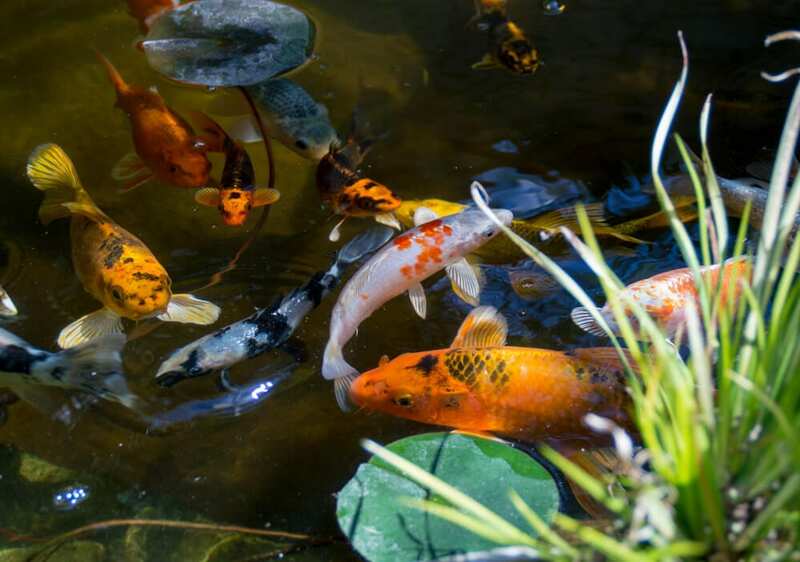 Nat Geo Wild’s The Fish Tank Kings – Living Color Aquariums called in the Pond Specialists, AKA – California Waterscapes and Pacific Outdoor Living to get the job done right! 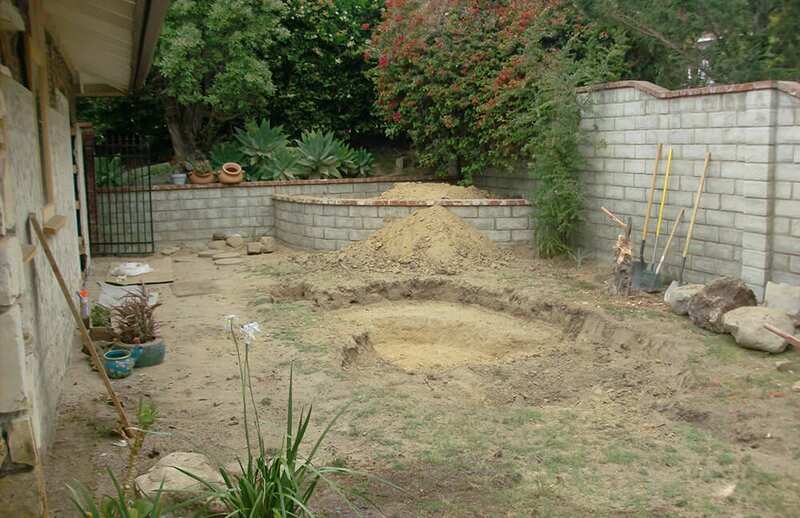 Before: A pond in the desert? 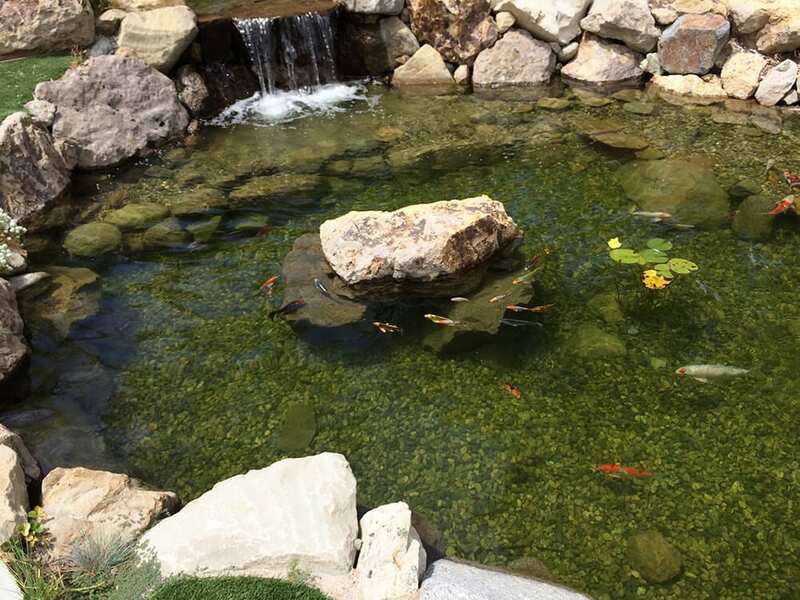 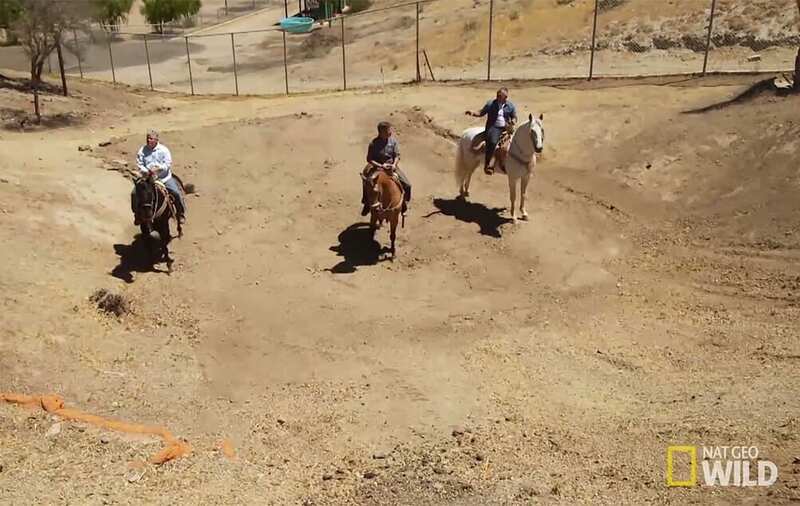 The challenge here for the Fish Tank Kings was creating a pond paradise in the middle of a seemingly dry desert. 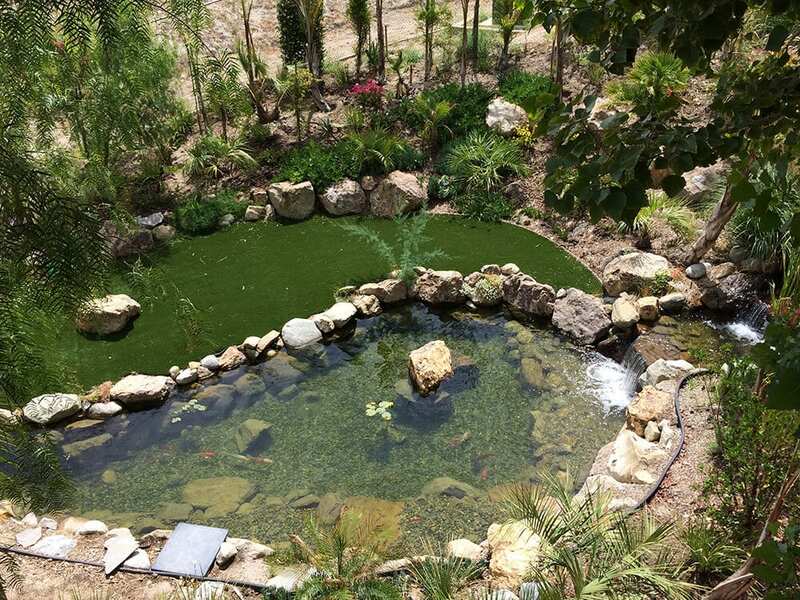 Ponds in any terrain are our specialty, we found a ground water supply so that it will replenish the water daily and turned Cesar’s dream into a reality! 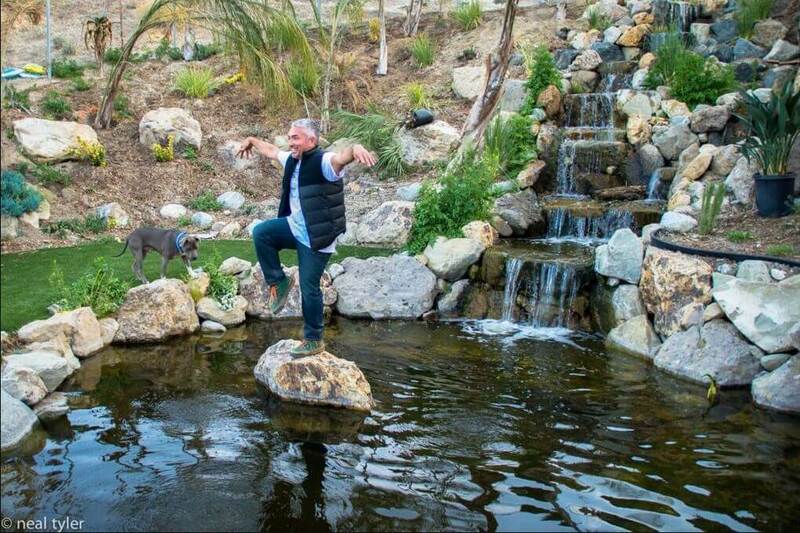 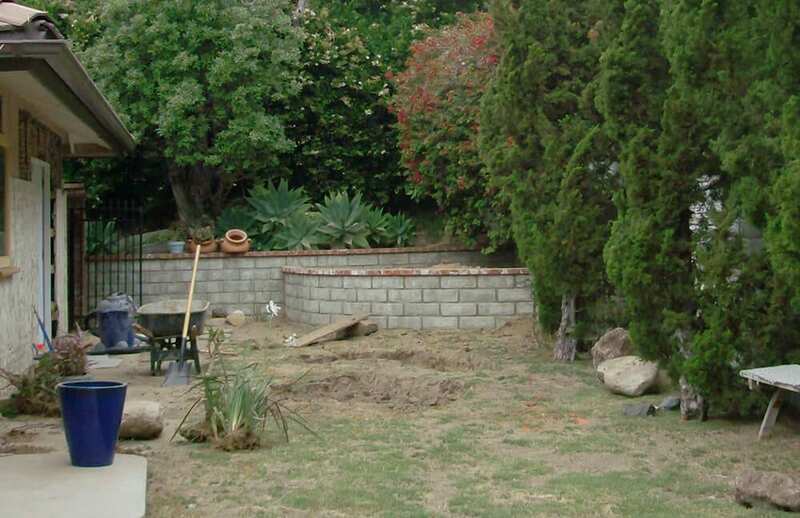 After: Cesar Millan’s Dream Pond! 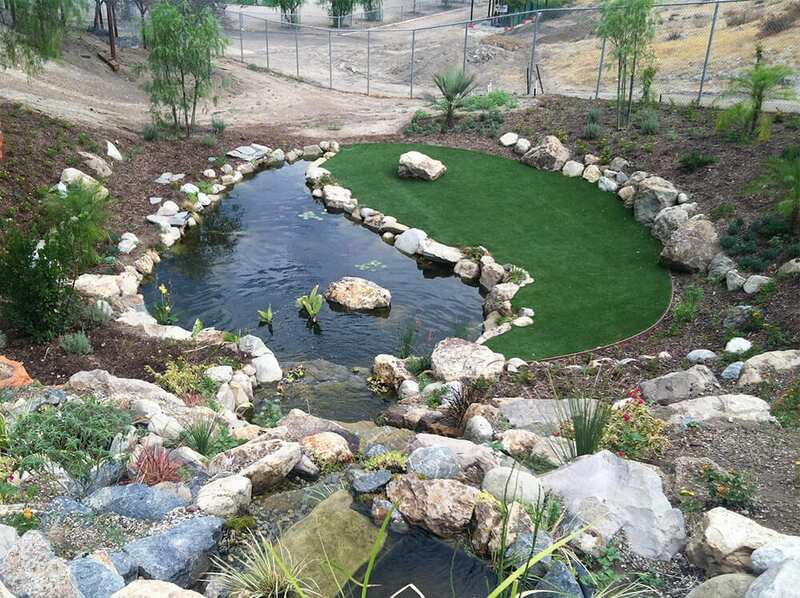 Our team came up with the design and incorporated the “yin yang” symbol, with half of it being the pond, the other half synthetic turf so no extra water was needed to water a lawn. 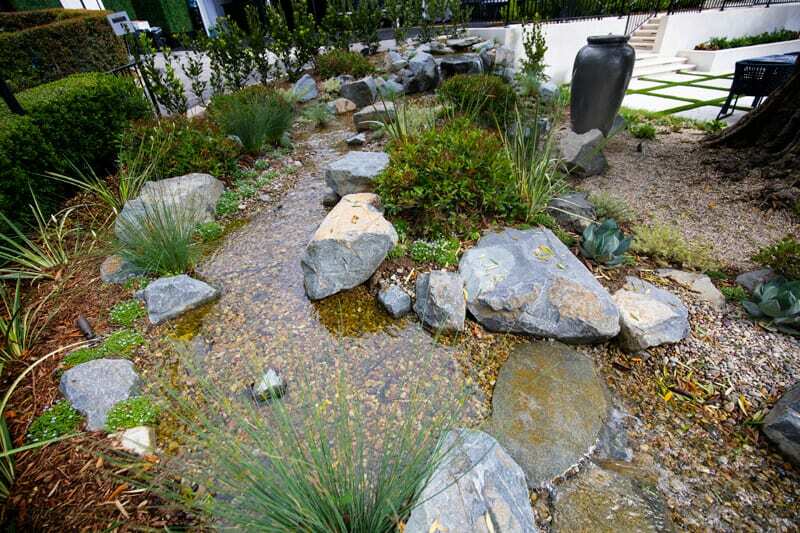 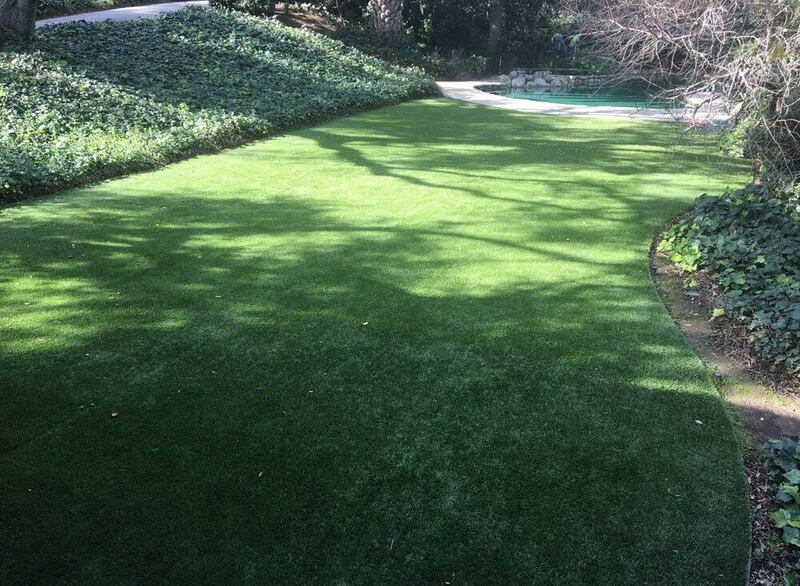 All the plants used in landscaping were also drought tolerant turning this oasis into drought tolerant masterpiece! 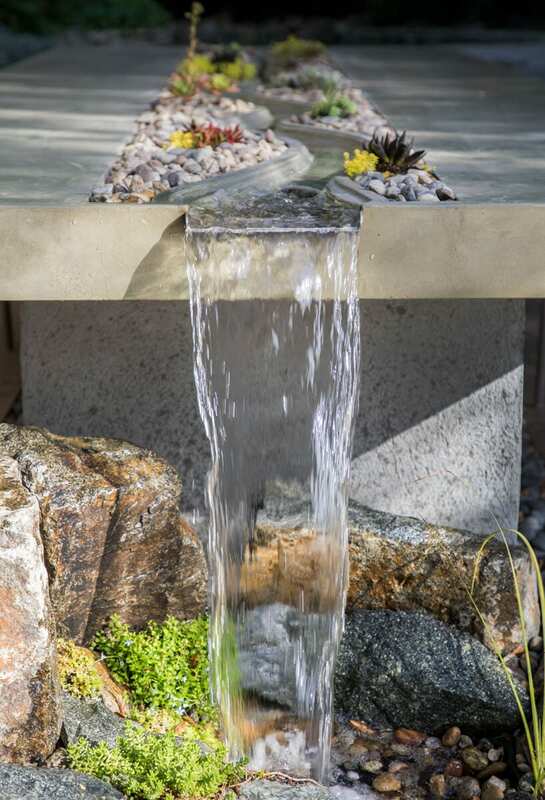 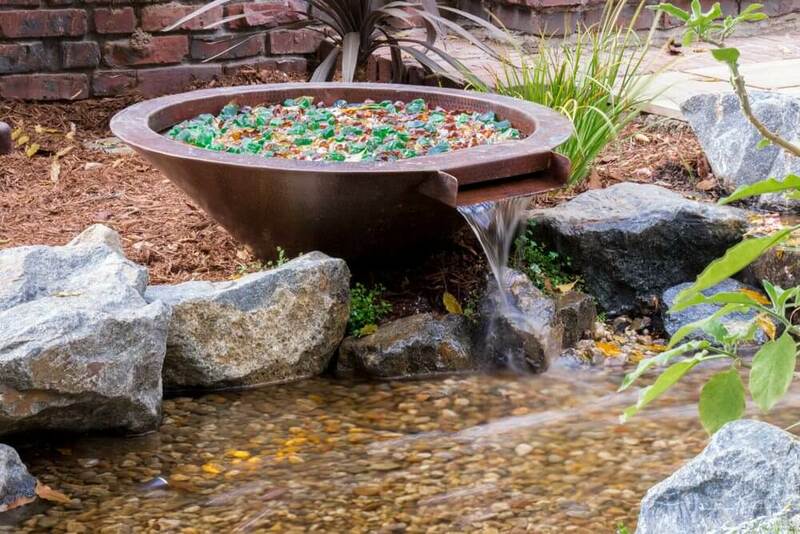 Tell us what your dream water feature is!